Hip, hip hooray! It’s Flag Day. Did you know our current flag was designed by a 17-year-old high school student? I sure didn’t. And to beat all, this kid didn’t simply draw his design, he sewed an actual flag! The student was Robert G. Heft. In 1958 Robert and his classmates were asked by their teacher, Mr. Pratt, to design a 50-star flag in anticipation of the admittance of Hawaii and Alaska as states. Robert spent a weekend designing and sewing his flag. Mr. Pratt gave Robert a B- on his project, explaining that his flag design lacked originality. However Mr. Pratt did say that he would give Robert a higher grade if his design was accepted as the United States flag. I feel certain Mr. Pratt had no idea that Robert would accept this challenge. 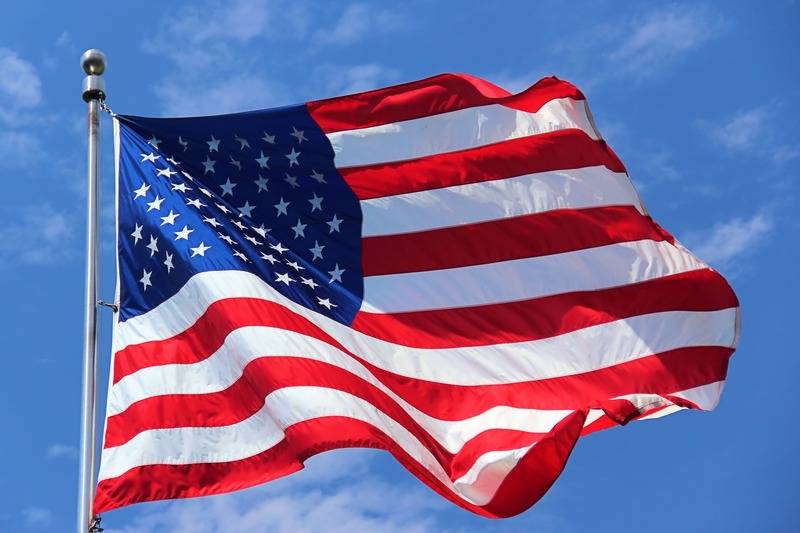 On July 4, 1960, Robert’s design was adopted as the US flag! I didn’t find any mention of Robert’s improved grade, but my guess is an A+. Robert G. Heft achieved many things in his lifetime. He retired from Northwest State Community College where he was a professor. He also served as mayor of Napoleon, Ohio, for 20 years. In addition to his 50-star flag design, Robert also developed a 51-star design just in case a new state were to join the United States! Robert G. Heft died on December 12, 2009. I wonder what some of my former students have achieved. What about you? Do you have student success stories to share? Please do! PS: Might Puerto Rico become America’s 51st state? Check out the latest HERE. I have been teaching long enough that I have former students who are now teachers. I have a former student who is a Navy Seal, one who works for CNN, one who manages a travel agency, and many who are happy in doing their life’s work! It thrills me to have had a part in educating them for the future! So proud! As you should be! Congratulations!!! Yes, I am very proud Special Education Teacher of two young men that received Basketball Scholarships to attend High School. A young man that just received his Associates Degree in computer technology.